"Versatile Wedding, Club & Radio DJ At Your Service"
Experienced, versatile radio DJ with club/bar residencies in London. Jay Q is comfortable playing all genres & eras, so will work with you to help make your special event go with a bang. Using only professional modern sound & lighting equipment, Jay provides a quality LED/laser show (with smoke machine) to really bring the party to life - helping build a killer atmosphere for your guests. If you are looking for a stand-out DJ who can properly mix, instead of a typical cheesy wedding DJ, then you will be in good hands. Jay has rocked parties at festivals, weddings, 5 Star hotels & celebrity bashes. Jay presents his own radio show, which goes out live to thousands of listeners across the world. He also has his own popular podcast series on iTunes, which reached No1 in the charts. Required by many venues, DJ Jay Q Music has a current PLI policy with Mobile DJ Network in the amount of £10 million. Also required by many venues, DJ Jay Q Music has supplied satisfactory evidence of holding current PAT inspections of their equipment dated within the last 12 months. A Method Statement outlining DJ Jay Q Music&apos;s Health & Safety procedure for setting up disco equipment has been provided. Why do people choose to book DJ Jay Q Music? Looking at previous experience etc. Veey good communication from him. Sounded like the right sort of vibe fitting to our night. Reasonable price. Able to provide me all my needs without no hassle! Directly got my attention through my number which got my attention more. It seems like he really wants to be involved in my event! "Jason was unable to attend, but sent a fabulous replacement instead." "Thanks for those words. Appreciate your understanding in an emergency"
"Highly recommend Jason, kept in touch and is very reliable. Would use him again, thank you." "Thanks for the feedback. Was a great night"
"We were delighted with DJ Jay - he played everything we wanted and held true to our request of a 90's theme. He is an excellent communicator, emailing and confirming everything that we wanted. I would have no hesitation in recommending Jay or indeed using him again for another event! Thanks for making the music for our wedding so great. " "what an amazing night. I didn't want to stop playing. hope to see you again"
"Jay was brilliant, great selection of music. He had a hall full of teenagers on their feet the whole time!! Would definitely recommend"
"thanks. feedback much appreciated and thanks for also booking me for your daughters end of year prom! " "Jay had great communication right from the start. He asked me exactly what we needed, and explained exactly how he would deliver. He picked great tunes, had great interaction with the crowd, and was really accommodating with all our requirements." "Thanks. It was a pleasure to play at this local gig. Great crowd and loved the old skool UK garage section when all the lads swung their shirts over their heads! " "Due to emergencies sadly Jay wasn't able to make our wedding but he did a great job finding an alternative for us in a short period of time, his friend Baz was able to step in last minute and he was amazing. The guests danced all night long to fab tunes. His emceeing was humorous and entertaining. Thank you!" "Glad it all went well - as I knew it would with Baz at the helm! I've passed your comments on to him and he had a smashing time also. " 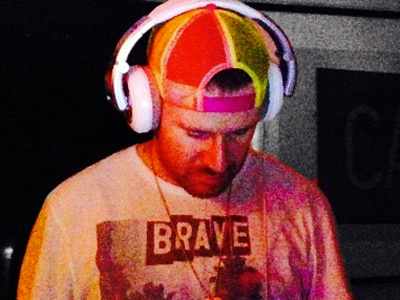 "DJ Jay Q was fantastic! I was quite laid back about what music to play at the wedding as I just wanted someone to turn up and do their thing and Jason did just that. He took requests from people and just went with the flow of the night! Everyone was dancing at some point which I loved. He really made our wedding night great! Cheers DJ Jay Q! x"
"Lovely words and much appreciated. It was a pleasure to play for you, your groom, family and friends..."
"Jay arrived very promptly and set up with the minimum of fuss. He liaised closely before the event and arranged for a wireless speaker to be provided for another room. The music was seamless and the choice was excellent. Jay was discreet but very responsive to requests. I received a shedload of compliments about the music from friends." "Thanks for taking the time to write those kind words. Its always a pleasure to deal with specific requests and requirements." "We were really pleased with our choice of DJ. He played great music all night. We would definitely book him again for another party and would most definitely recommend him." "Thank you. A very memorable 21st with all the friends and family joining in and partying til 4am plus! Hope to see you all again soon...."
"Would definitely go for this company again, Tom allchurch was an amazing dj, would 100% recommend"
"Thank you so much for this feedback and Im really pleased - Tom also said he had a great time and I will forward your kind words on to him asap. Hope to work with you again in 2016"
DJ Jay Q Music also offers a range of additional party services not directly linked to musical entertainment. 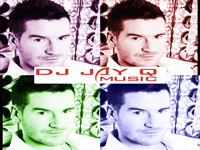 Get FREE no-obligation disco quotes from DJ Jay Q Music and other DJs covering your venue. Take 2 minutes to fill in some basic details and we'll do the rest! Something for everyone. See you on the dancefloor! If you are contacting DJ Jay Q Music about an event, it's always a good idea to include the DATE, LOCATION, EVENT TYPE, AGE GROUP and TIMINGS to speed things up!